The gorgeous silver embroidery and sequin design at the bodice of this dress reminds us of constellations in the night sky. The Radiant Constellations Sequin Embellished A-Line Dress has a flattering sweetheart neckline, lightly padded bust, and cap sleeves. This dress is fully lined. The top is made of a mesh fabric with metallic embroidery and miniature sequins throughout. The attached skirt is made of chiffon and has an A-line cut. A layer of tulle under the skirt adds volume. An open back, tie back neck, and hidden back zipper complete this look. The Radiant Constellations Sequin Embellished A-Line Dress would be perfect for any party, dance, or semi-formal event. 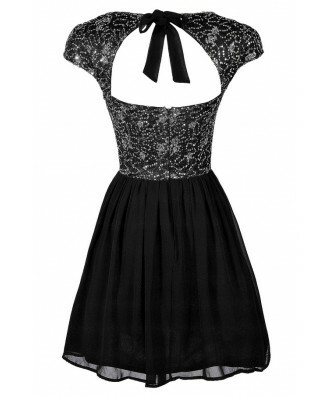 This is a dress that can be dressed up or dressed down. Pair it with black pumps and a clutch--or dress it up with strappy metallic heels and silver jewelry. Details: Made in USA. Fully lined. Lightly padded bust. Hidden back zipper. Tulle lining under skirt. 100% polyester. Hand wash cold or dry clean. Small measurements: Length from top of shoulder to hemline: 34". Bust: 32". 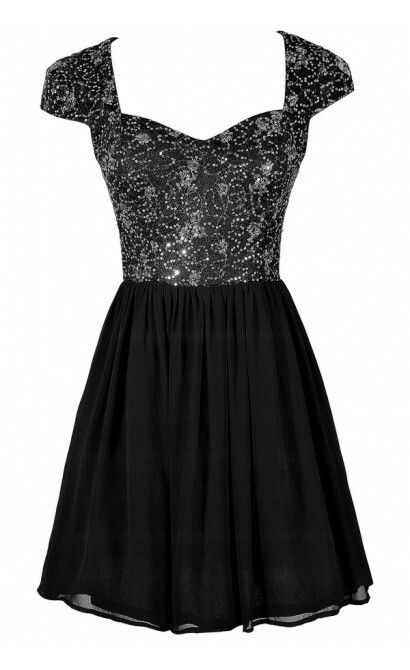 You have added Radiant Constellations Sequin Embellished A-Line Dress into Wishlist. 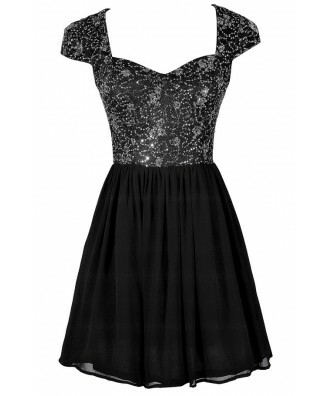 You have added Radiant Constellations Sequin Embellished A-Line Dress for Stock Notification. 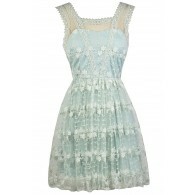 You have set Radiant Constellations Sequin Embellished A-Line Dress as a loved product. 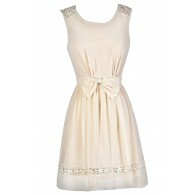 You have removed Radiant Constellations Sequin Embellished A-Line Dress as a loved product.